Tim began his journey towards becoming a Physical Therapist in high school after hurting his back while playing soccer and running track & field. The positive impact that Physical Therapy had during his recovery is what strongly drew him towards the profession. He knew then that he would someday help people return to their activities and achieve their health goals, allowing him to enter an accelerated undergraduate degree and then receive his Doctorate of Physical Therapy in only 6 years. While in graduate school Tim fueled his passion for health and wellness by competing in NCAA Track and Field for 4 years where he was recognized and awarded as a scholar-athlete. 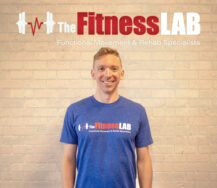 Clinical experiences in multiple orthopedic and sports settings during and after his doctorate program have allowed him to build an extensive background in endurance athlete management and treatment. Since joining the practice, Tim has expanded this even further by becoming an IRONMAN certified coach and completing continuing education including the USAT-sponsored Medical Multisport Conference, and Clinical Running Essentials. Too often Patients fall into the “cookie cutter” system in Physical Therapy where they are led through a “one-size-fits-all” program of exercises and interventions. Tim strongly emphasizes that every patient, and their body, is unique which means there is no single formula for getting better. By fully listening to every Patient’s unique needs, a specialized individual plan will be developed to make sure every Patient heals and recovers as quickly and safely as possible. Tim’s treatment philosophy emphasizes developing a lasting connection with clients in order to identify areas that need work whether that includes movement dysfunction, muscle imbalances, or tissue damage.